I hit the water with a few friends this past weekend. The three of us hadn’t been on the water together in quite some time but it worked out fine. We got a late start and weren’t on the water till close to 10 am. The water flows on the Connecticut River looked decent so we figured we would give it a shot. The fishing was slow. 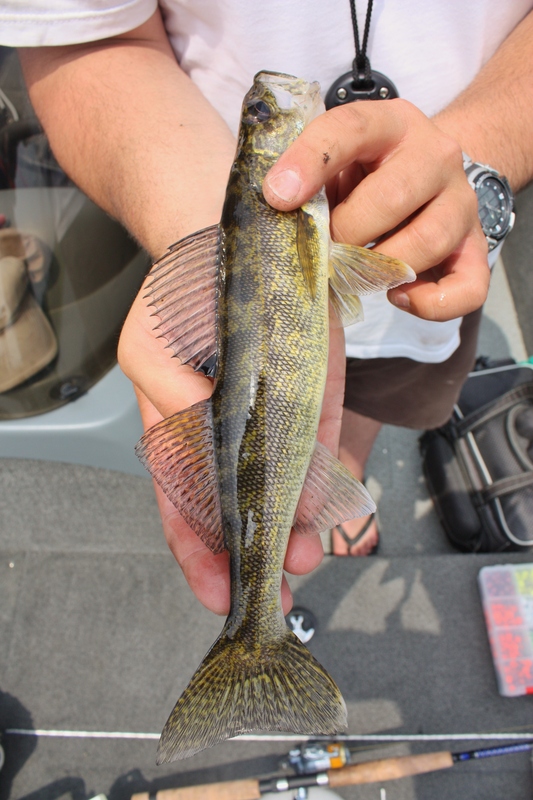 We managed to only get one walleye into the boat and it was a small one. I brought one decent sized fish to the surface but it shook the hook before the net could get under it. 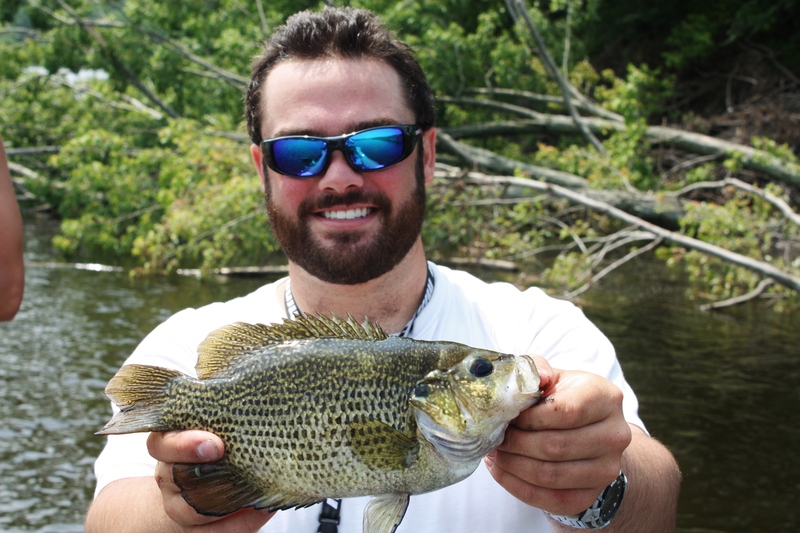 The rest of the trip was relatively unproductive minus one giant rockbass that came right before we packed it up to head elsewhere! We found a much better result at our second stop. The fish were very aggressive and seemed willing to bite everywhere! We pulled many doubles but the triple seemed to elude us. 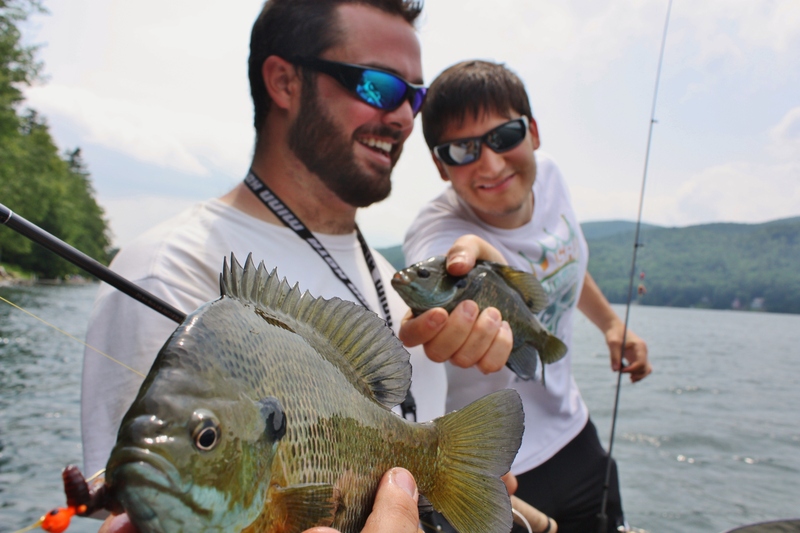 Rockbass were holding tight to wooden docks and timber, bluegill were on sandy shores and under metal docks, and the pumpkinseed were in the curly pond weed and milfoil. 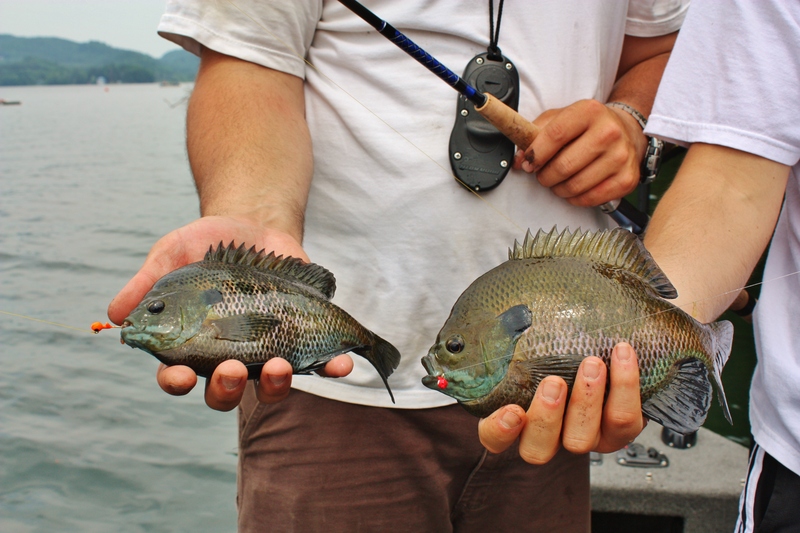 Throughout the time we spent at our second stop, we located a few pods of larger bluegill. When we hit these spots, we used the electric anchor on the Minn Kota Terrova to hold us in place. The wind was working against us, but our will to keep catching fish was strong enough to deal with the wind. By the end of the sheltered, but still windy shore, we were content with our results. The fish cooperated very well and we all had a good enough fix to head home. Not to mention that it was suppose to start raining any time. Luckily, we had a few minutes to chat outside before it started to rain. Couldn’t ask for a much better day! 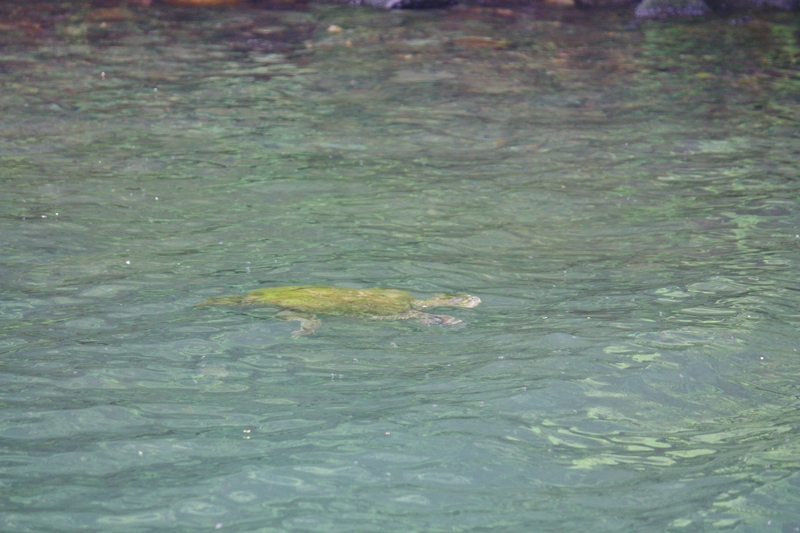 We saw a big snapping turtle too!